Vaping or smoking e-cigarettes is becoming an increasingly popular habit. The main reason for this is that it is healthier than smoking. Additionally, vaping has been proven to help smokers who want to quit smoking. However, e-cig users expose themselves to some health risks when enjoying their vape due to some things they do or fail to do, hence undermining the benefits of vaping. Nicotine is one of the ingredients of e-liquids. Consuming high quantities of nicotine could have adverse effects on your health and may result in dehydration and a dry or sore throat. Since e-liquids come with varying amounts of nicotine, it is vital that you select e-liquids with a low nicotine content. For starters, it would be wise to seek the advice of experts regarding which e-liquid has suitable nicotine concentrations for them. New vapers can also sample several e-liquids and select the one that best suits them with low nicotine levels. The tank of your vaping device could accumulate food particles and saliva, which could have entered through the mouthpiece while vaping. Due to this, bacteria can multiply, causing you certain health risks. It is recommended to clean your vaping device’s tank once per week, before adding a new flavor, and when the device is new to ensure there are no contaminants. Also, ensure the whole vaping device is clean. Although the total cost of vaping is lower than that of smoking traditional cigarettes, the initial cost of buying the device and the e-liquids is higher. Some people may be tempted to buy cheap devices, which may pose some hazards to vapers, as they may be made of substandard products. For example, some defective or cheap devices have in some instances caught on fire. Some vaping devices’ batteries have also exploded and caused fires, leading to severe injuries. Most batteries that explode will do so during charging. 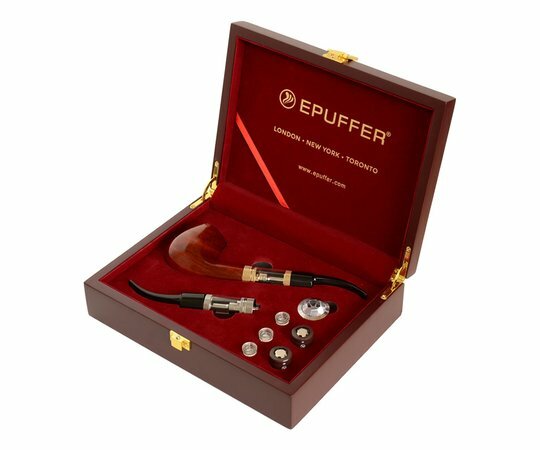 You should buy high-quality devices and vaping products to avoid the risks associated with cheap products, and you cannot go wrong buying from ePuffer, a leading and reputable manufacturer. E-cigarettes and vaporizers work when a coil or wick gets hot and heats e-liquid, thus turning it into vapor, which the user inhales. If the device has an insufficient amount of e-liquid, maybe because the user forgot to refill, or even when the chamber is empty, the user will end up “dry vaping.” The effect of this is a burning feeling in the back part of the throat. In order to avoid such an occurrence, vapers should always ensure the e-liquid is at the required level before vaping. With a myriad of e-liquids on the market, each with varying nicotine levels, different ingredients, and a wide array of flavors, it is crucial for the users to find out more as they pick their e-liquids. Some e-liquids can be very toxic due to the chemicals used to manufacture them, especially the flavors. Such e-liquids can have disastrous effects on your health, like hampering the functioning of blood vessels. It is paramount that vapers do in-depth research before buying e-liquids or trying any new flavor, and that they buy from reliable and trustworthy vendors. People can easily avoid these health mistakes when vaping by buying quality vaping devices and products. Also, they need to purchase supplies from trustworthy vendors, clean their devices, and ensure the correct amount of e-liquid levels in the device before enjoying the vape.